Susan Mokelke, president of the FSS, was recently interviewed about shamanism by Eileen Nash for her online/TV program Restore Your Caring Soul. 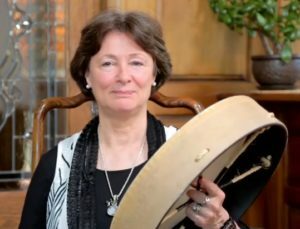 For those who would like an introduction to contemporary shamanism, you can watch the interview here: “Core Shamanism Explained by Susan Mokelke” — https://vimeo.com/234611951. FSS Polestar: Can you learn shamanism and shamanic healing online? The Foundation for Shamanic Studies is a nonprofit public 501(c)(3) charitable and educational organization dedicated to the preservation, study, and teaching of shamanic knowledge for the welfare of the Planet and its inhabitants. ©1999-2019 Foundation for Shamanic Studies. All Rights Reserved.